Does teaching literature class scare you? Are you looking for a literature curriculum to use with your high school student? Are you looking for a course you could use as a book club, with a co-op, or just alone at home? If so, keep reading about today's review! 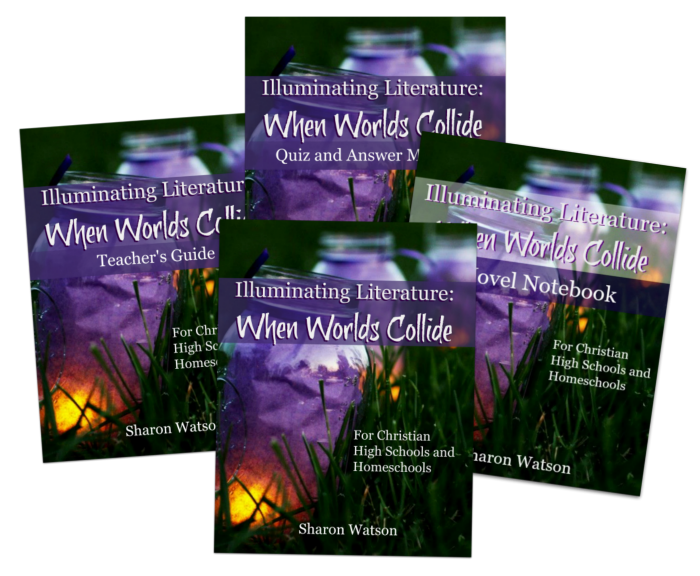 Illuminating Literature: When Worlds Collide is a new literature program for Christian High Schools and Homeschools by Writing with Sharon Watson. 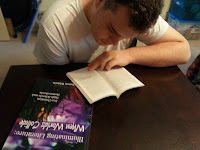 We had the true blessing of reviewing this course plus the first 2 novels with my very reluctant high school reader. I explain the blessing part later in the review during how we used the course. 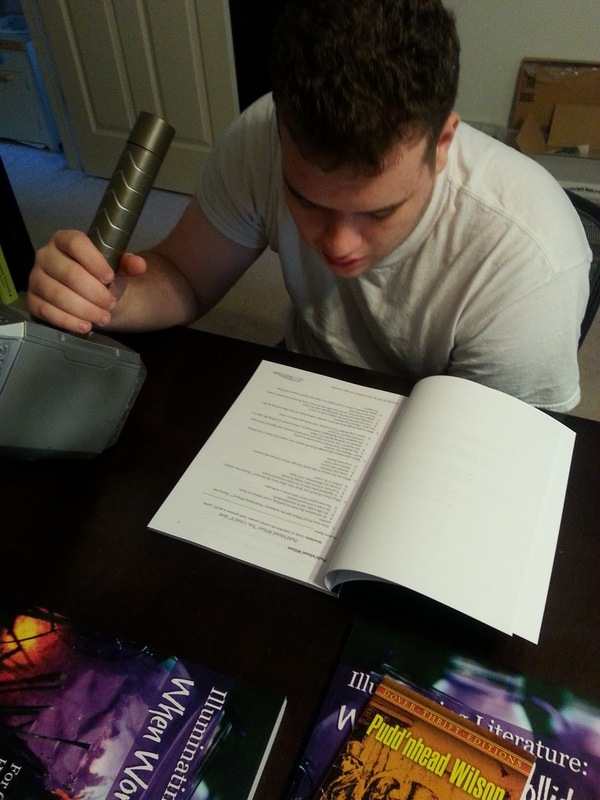 The student book can easily be completed by the student with very little input from the teacher. You can set up a weekly, monthly, or every other week meeting for yourself and your student to discuss the lessons. 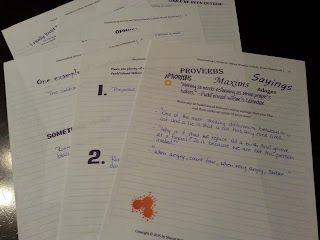 We chose to go over each lesson at the end of the day. The Teacher's guide will be your best friend while teaching this course. It has so much information including discussion ideas of what your student is learning in their student book. It has your suggested schedules, reading plan, discussion questions, vocabulary quizzes, answers, grading grids and lots more. I loved the fact she includes Facebook questions and links that she asked her own Facebook group of students. This section makes it so simple to start your own group. Just know that there is so much information included in this guide that I'm barely touching the surface! The quizzes found in the Quiz and Answer Manual can also be found online and completed online by the student. This is an optional feature if you would rather your student take the quizzes and opinion surveys on paper instead of online. Online quizzes are automatically graded for you and you will find the answer key to the paper version in the back of the book. The course also includes a free PDF download of the Novel Notebook which your student can use to answer questions from the lessons and make notations in while reading their novel. They may also just use a composition notebook instead but the Novel Notebook makes the pages more visually pleasing and creates a nice keepsake book as well. The novels were selected for their colliding worlds - physical, political, extraterrestrial, racial, spiritual, and philosophical. Students will tackle these concepts as they analyze these works of literature. It is also highly recommended that you use the novel versions listed in the teacher's guide to make following along with the page numbers easier. The ISBN numbers are given in the teacher's guide and the novels are available for purchase on the website. Please note that this curriculum is written from a Christian perspective but the books chosen are not necessarily written by Christians. The books will contain words, characters, and events that many may find to be offensive. The beauty of this course though is your student is taught how to analyze these works of art and evaluate these findings with the truths found in the Bible. Some of the literary terms you will cover include text and context, pseudonym (nom de plume), foreshadowing, conflict, protagonist, antagonist, satire, irony, and so many more. Scroll to the bottom of this page for a complete listing. My Senior is and always has been an extremely reluctant reader. One of the first questions of the course is why might passages or whole books written over 100 years ago seem boring to today's readers. His answer was, "because I often cannot understand a word they are saying!" Admittedly, I agree with him. When you can't follow the dialogue, you really have no idea what the characters are feeling or trying to say. As we began the course, he was again immediately reluctant but the course guides you through the lessons before you even begin reading the book itself. It introduces you to the book, gives you words to look for that might be slang or unfamiliar to you, introduces to a little about the author, gives you literary terms, and more. Still reluctant, he began to read the book, and he actually started to enjoy it. Honestly, I was so shocked. We slowed the time frame down for him and that really helped him as well. 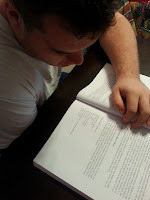 He just could not comprehend more than 2 chapters at a time so he did that 4 days a week taking him almost 3 weeks to complete his reading of the first book. The suggested schedule said to complete the reading of the book in 2 weeks. 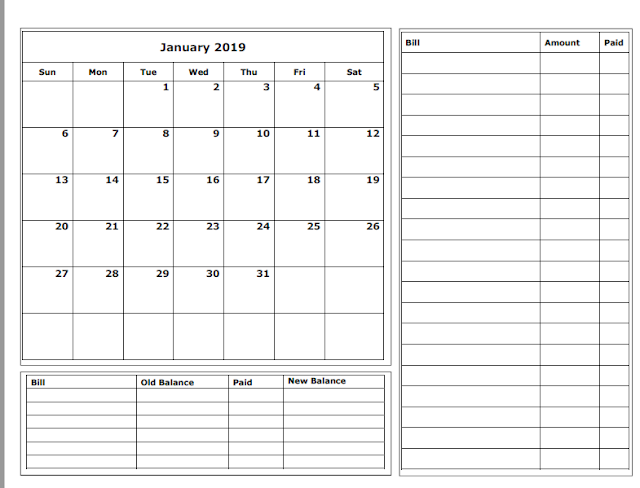 The layout of the schedule is completely flexible which lately seems like a must for our homeschool. I don't think we follow any suggested schedules around here! That's the beauty of homeschooling! My son and I both would highly recommend this course for high school students of all backgrounds. The literary terms and analyzing questions will certainly prepare your students for college literature. The practical tips and writing style of Ms. Watson are so relatable to students. Ms. Watson draws you into the book before you even pick it up by giving you background information of the author, time period, and intriguing facts that you may not be aware of - at least I wasn't! The real beauty of this program is I don't have to read all the books to be able to have a wonderful discussion of them with my son - what a time saver! However, after our discussions I must say that I was highly intrigued and do plan to add them to my own reading list. A few of them I have read, but there are several that I have not. The goal here is to grow a love tackling and analyzing the classics and seeing that they are not so scary after all. Let's face it, the majority of us are just as scared to teach the classics as the students are to read them. So, not only did the course give my son confidence in his abilities but it gave me confidence as well! 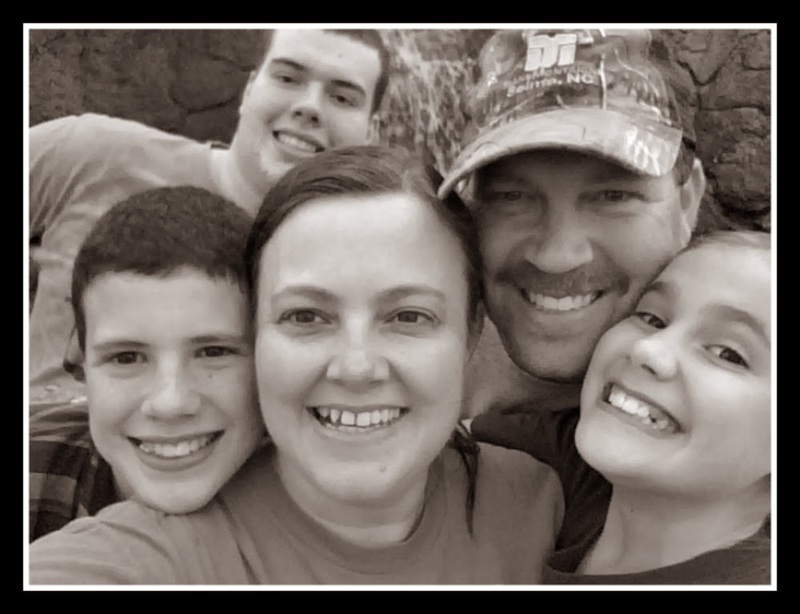 You can check out some samples and information from the course and see for yourself why we will be continuing this course in our homeschool. Right now there is also an awesome giveaway and Facebook party going on to celebrate the release of this curriculum. The giveaway ends 8/26/15 so hurry! Join the Facebook party on Thursday, August 27, 2015 for even more prizes and information on this wonderful literature curriculum. Thank you for all your hard work. I honestly cannot express in words what relief this has brought to my family!!! Does this fill the American Literature requirement for highschool? I am trying to cover all the bases for getting a diploma after highschool. Amy, this course fulfills a high school requirement for literature and earns one credit for it. However, it is not for American Lit. I see that Apologia just came out with a new course for American Lit. Thank you for answering, Sharon!